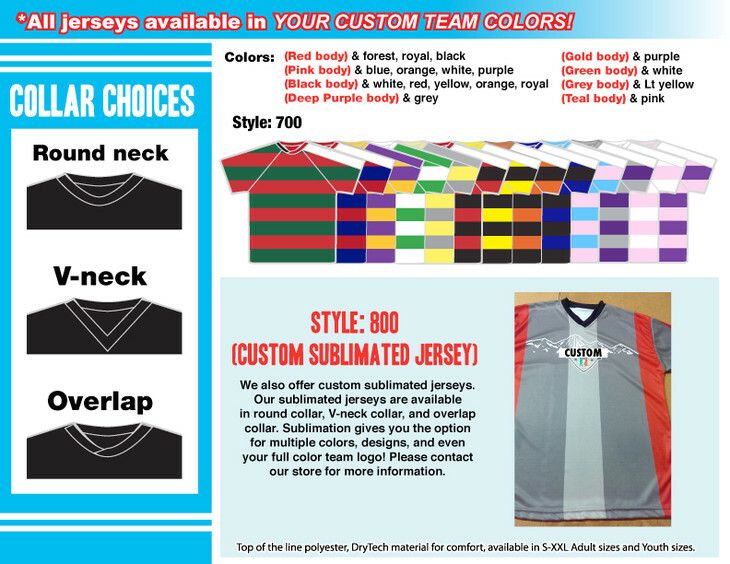 Contact us next time you need jerseys for your team! 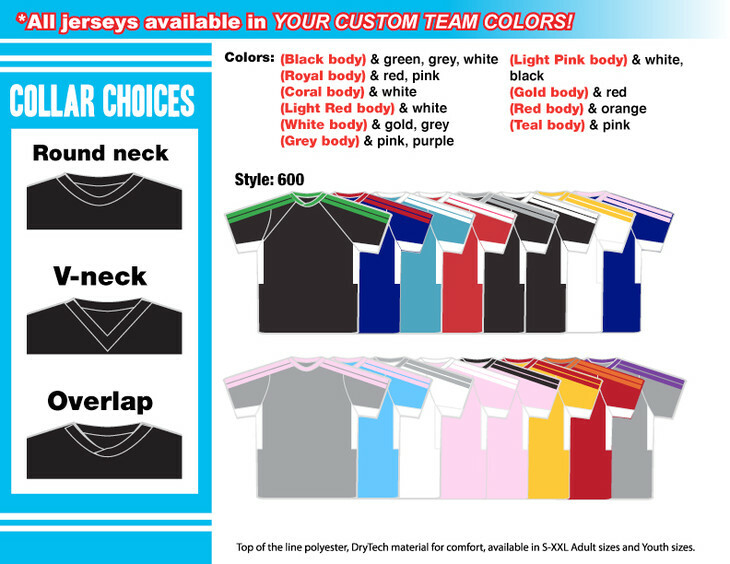 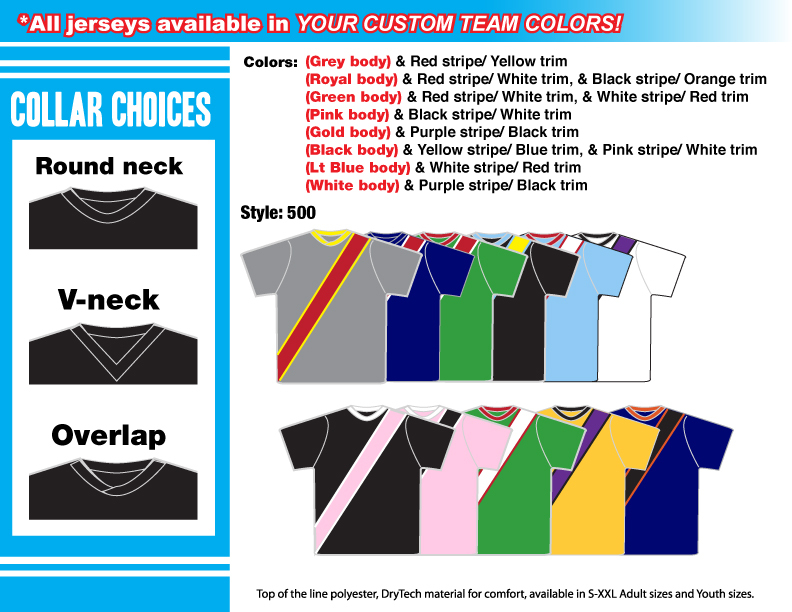 We use top of the line polyester on all jerseys, which can follow one of these styles or be custom made! We have many colors available, and we make both Adult and Youth sizes. 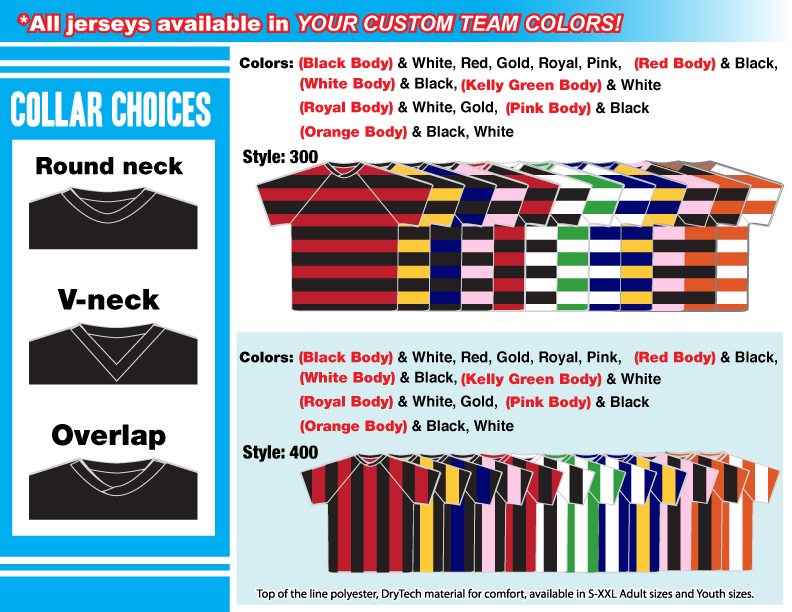 We also make sets (ie. jerseys and shorts). Click the pictures to enlarge. 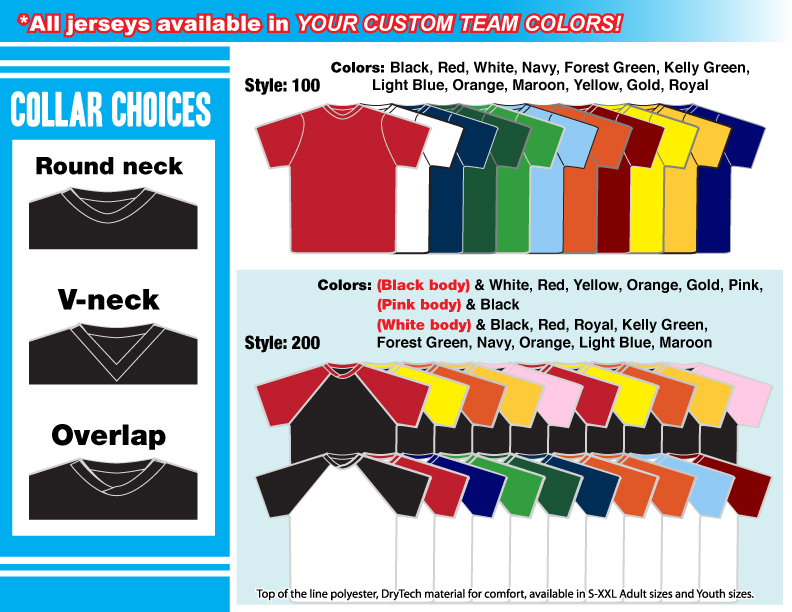 If you'd like to request a quote, you can call us, send us an email, or fill out the following form and we will contact you!